You can find the suitable meeting room through online platforms that list available spaces along with their specifications and the range of services that they offer. They track and monitor the meeting rooms available. 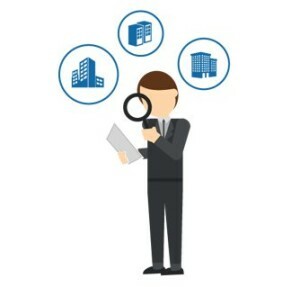 This will save you time and energy as you can list your preferences and choose from an array of options available while sitting at your computer screen.These platforms aim to provide you tailor made solutions as per your business needs with the best value for money by acting as a mediator between the client and the partner venues. All you need to do is search, compare and book online for a hassle free booking experience. Once you have an idea of all the major requirements the rest is a very simple process. All you need to do is register with any of the service providers and avail their services. One such great platform in the Middle East is fluidmeet which can assist you in searching for your desired meeting room. Choosing the perfect location is an important element because centrality of the location can ease logitistical challenges that attendees can face. 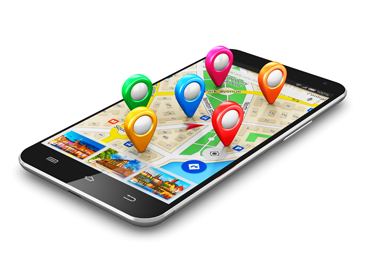 An appropriate location is one that is easily accessible for people and has multiple modes of transportation to reach. You need to consider the purpose of the meeting while selecting the meeting room like the seating capacity of the chosen venue so that it easily accommodates the required number of delegartes. 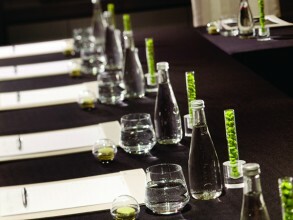 While selecting a meeting room, you should know the agenda of your meeting and the duration your meeting. These days, different facilities provide you with multiple time options as per your requirement. You can choose to block the venue on an hourly, half daily or daily basis depending on your need. You need to choose wisely so as to optimize your money spent. Based on the agenda of your meeting, you can choose the meeting room which is well equipped with the necessary equipments and gadgets. The basic necessities like Wi-Fi, projector, whiteboard, video conferencing etc. should be present for the meeting. Sometimes you need a podium for a speaker or a sound system to make sure your voice is heard all across the event space. 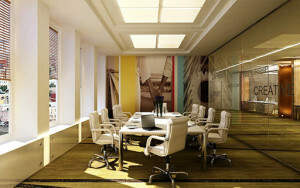 The selected meeting room should have proper aesthetics as per the meeting requirements. Proper lighting, layout, seating arrangements, décor should be in sync with your preference. As these aspects can be viewed with the pictures provided on fluidmeet, and helps you choose the best facility quickly. Remember that your event should match the space. It you want a classic look and feel, choose that. If you want something more flashy, pink and red walls of the meeting room might help for your product launch. The choice is yours. 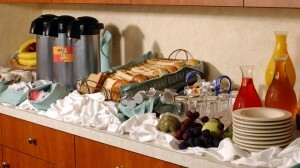 You can choose from a variety of food & beverage services offered along with the meeting room facilities. A short meeting might require a coffee/tea break, but a longer meeting might require a full service buffet including freeflowing coffee and tea, especially after lunch. This will help in providing an overall package for the meeting and it will be professionally managed by the venue partner. Next PostWhat’s so special about serviced offices?